On 27 August, two AMDA personnel arrived at the Kerala State capital of Trivandrum. They travelled to Chengannur, a city in the same state some 100km to the north. There, they held a meeting with the Chengannur Rotary Club, a local cooperative body, to discuss the state of the disaster and what could be done to help. 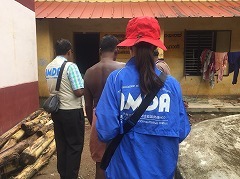 Although the rotary club had already provided medical support to the evacuation sites in Chengannur, the AMDA team decided to visit some of the evacuation sites to assess the current situation and needs. 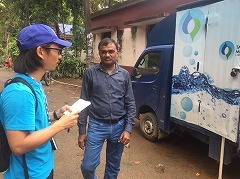 In the afternoon, the team visited two evacuation sites in central Chengannur and found that they had both already received medical and food supplies from the government. 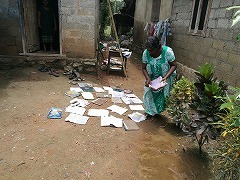 The next day, 28 August, the team went to a village called Mnarthra in Pandanad, a district in the Chengannur suburbs. There, the residents say that the nearby Panba River overflowed, causing water levels to increase at an alarming rate. 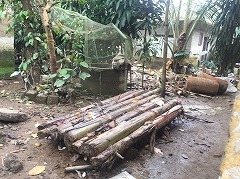 Although the majority of the villagers evacuated to the local community center or temple, the team heard stories of fishermen using their boats to rescue people hanging onto things like banana trees. For three days and three nights, the villagers lived without running water or electricity. Nevertheless, it was a consolation that no lives were lost out of the 95 families who live there. Currently, it feels as though the local police have completed the first stage of clearing the mud throughout the village. 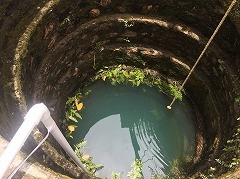 However, as the wells have been polluted, water trucks have been filling bottles with clean water and distributing them among the villagers. Regarding food provisions, the people are currently getting by on what is being distributed to them. Together with local cooperative bodies, the AMDA team is continuing the coordination of relief efforts for the disaster victims.